Katy Perry and Orlando Bloom Got Engaged on Valentine's Day She said yes! Perry confirmed the news on Instagram with a picture of the couple. Katy Perry, via Instagram Bloom shared a quote about love on his Instagram earlier in the day. Orlando Bloom, via Instagram This will be the second marriage for both stars. Perry was married to comedian Russell Brand, while Bloom was married to model Miranda Kerr. The couple has been dating since January 2016. 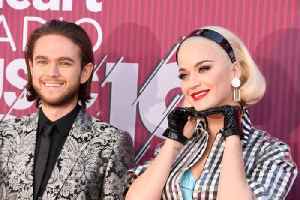 Perry also released her new track with Zedd, "365," on Thursday.